Joseph Gradilla, Windermere Real Estate broker, presents Royal Family Kids camp in Issaquah with their grant from the Windermere Foundation. The Windermere Foundation is excited to supporting a number of local charities this year. One of the organizations we’ve donated to isRoyal Family Kids to help support their summer camp for abused, neglected and abandoned foster children. Royal Family Kids’ Camp in Issaquah (d.b.a. 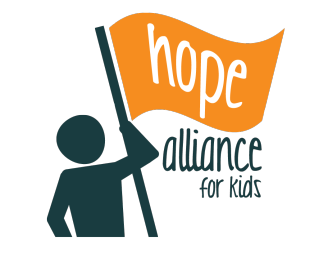 Hope Alliance for Kids) is a 501(c)(3) non-profit corporation created to provide support and services to at risk youth with an emphasis on foster children and their families. Founded in 1998, it offered a single Royal Family Kids’ Camp for foster kids ages 7-11. In 2014 Hope Alliance for Kids offered its 16th annual Royal Family Kids’ Camp and its 3rd annual Teen Reach Adventure Camp for foster teens ages 12-15. Our Vision: To make a difference in the lives of children, who through no fault of their own, have suffered abandonment, abuse and neglect, and give them hope for their future. Our Mission: To provide services and support to foster children and their families that build on the positive experiences of our camping programs. Our Goal: That every foster child in King County ages 7 – 15 would be able to attend a summer camp filled with life changing experiences and love that focuses on meeting the special needs of abused and neglected children.